The 135th National Encampment in Springfield, Illinois, the Sons of Union Veterans of the Civil War elected Donald L. Martin of Chillicothe, Ohio as their 135th Commander-in-Chief on 13 August 2016. He is the 4th Commander in Chief from Sergeant Richard Enderlin Camp #73. Don, the son of Jack and Della Martin, grew up north of Dayton in Pleasant Hill, Ohio, in a family of carpenters and began learning the trade during the summers of High School and College. He graduated from Miami University where he played on the Miami Lacrosse Club. In 1983 he began 9 years of service in the United States Air Force. He flew as a Loadmaster on the C-130 Hercules cargo aircraft and later worked in administration. Missions took him to various locations worldwide and to many of the early warning radar sites in Alaska. Stationed in Arkansas and Alaska he was Honorably Discharged in 1992. Following his Air Force service, Commander Martin worked in the construction industry in Ohio and as a carpenter for the Department of Defense in North Carolina. There he completed coursework to receive a teaching certification in Science and Social Studies. Employed by Waverly City Schools since 1998, he has taught 9th grade World Studies, General Science, Environmental Science and has returned to US History this school year. Upon completing his Master’s Degree from the University of Rio Grande, Commander Martin was hired as a University mentor and part time instructor in their graduate program. He traveled in 2005 with a team of teachers to China’s University of Bao Ji to conduct an education work shop. The Transatlantic Outreach Program of Germany and The Korean Foundation both chose Commander Martin in 2008 to participate in their educator programs. Each lasting about two-weeks, the first sponsored a study tour of Germany and the second, a study tour of South Korea and brief entrance into North Korea while touring the DMZ. Chosen a Fulbright Scholar in 2010, he participated in the 26 day Seminar Abroad Program in Brazil. Selected as a National Endowment of the Humanities Scholar in 2015 and 2014, Commander Martin attended 8 day workshops in Montana and Colorado. Commander in Chief Martin joined the Sons of Union Veterans of the Civil War in 1998. He served as Camp Commander for 4 years and is still the Camp Patriotic Instructor. For the Department of Ohio he served as Junior and Senior Vice Commander and was elected Department Commander in 2011. 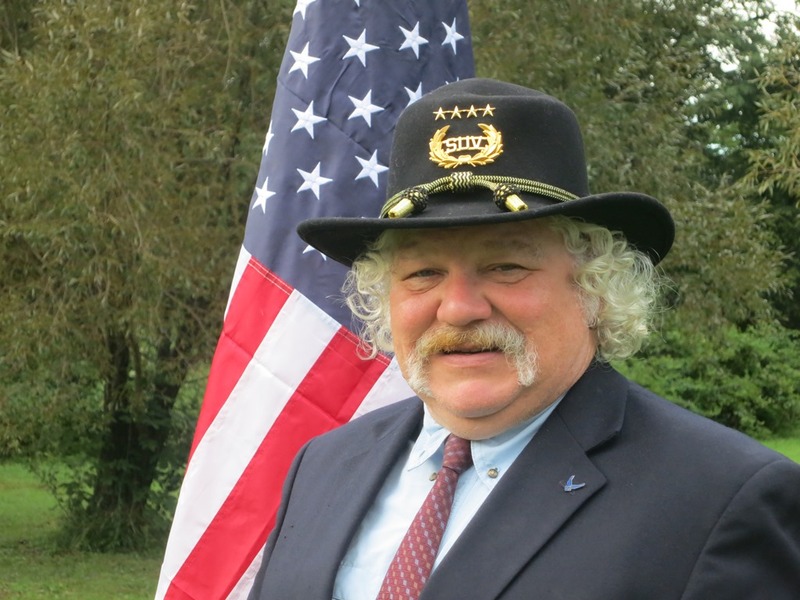 At the National level Commander Martin has served as Guide (2009); National Patriotic Instructor (2009-11); Counsel of Administration (2011-14); Life Membership Committee (2011-12); Civil War Memorial Grant Committee (2012-14) (Chair 2013-14); Regulation Committee Aide (2013-14); Junior Vice Commander-in-Chief (2014-15); Senior Vice Commander-in-Chief (2015-16); Programs and Policies Committee Chair (2015-16); National Military Affairs Committee (2011-present); and on the Constitution and Regulation Committee (2013-2016). His membership in the SUVCW is based on his Great, Great, Great, Grandfathers Private Daniel Mote of Company B, 110th OVVI and Englishman Captain James Sowry. Captain Sowry, a Veteran of the British Army’s Seventh Regiment, English Grenadiers and the Mexican War, served in Company E, of the 48th OVVI and his brother, Corporal William Sowry served in Company E, 118th OVVI. Wife Sherry, a native of Los Angeles, and Commander Martin were married while both served on active duty at Little Rock Air Force Base, Arkansas, in 1984. Daughter Jennifer lives in Chillicothe with her children, Allison, William, and Alyssa. Son Brother Dustin resides in Boston, Massachusetts.